It is starting to feel a lot like spring here recently. 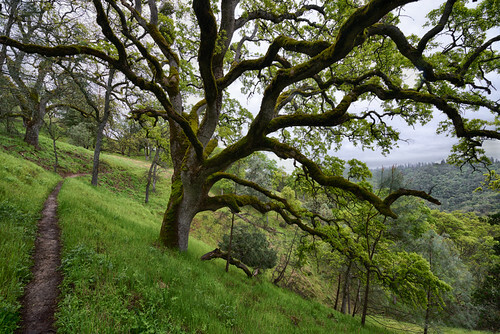 I hiked this hillside awhile ago, but it reminds me of today with all of the green from the rain and new growth in the trees. 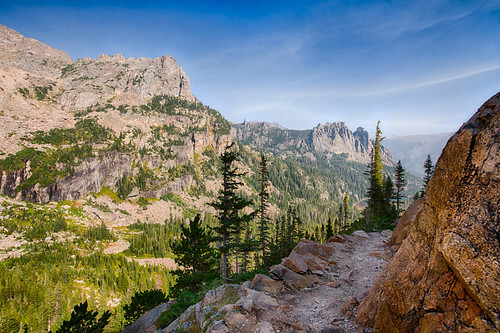 Rocky Mountain National Park earned its name on Fern Lake Trail, with lots of rough rocks every way that you look. We started our hike at Bear Lake, and after some good climbing the view opened up into this gorge with mountain peaks in all directions. I love trails like this. 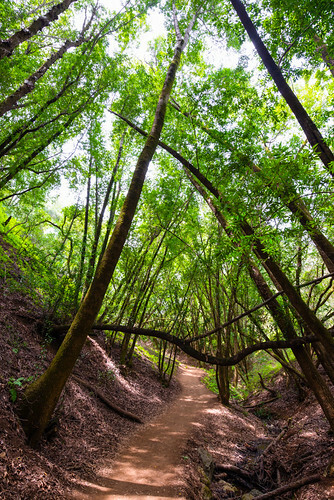 The brightly lit green of the trees almost makes it feel like you are walking through a tunnel in the forest. 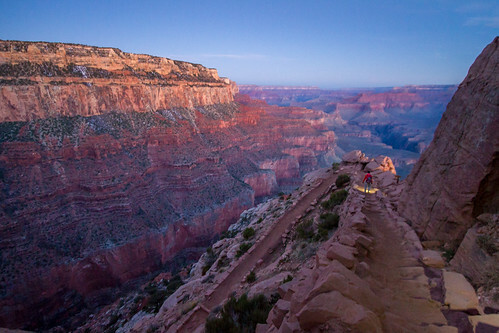 To get to the bottom of the Grand Canyon and back up in one day, you should start well before dawn. This is near the top of the canyon, and you will take many more switchbacks like it before you get to the bottom. I feel like I’m zooming through the week with the greatest of ease! 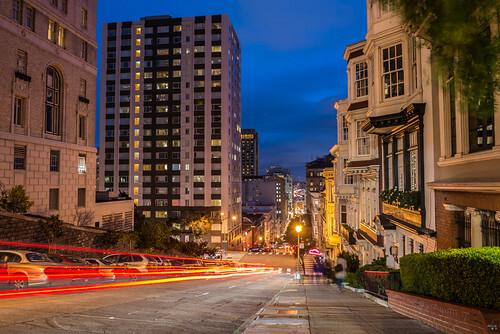 The sweeping curve of the buildings on this street is unique on its own, but the traffic zooming by at night is what really makes it come to life. 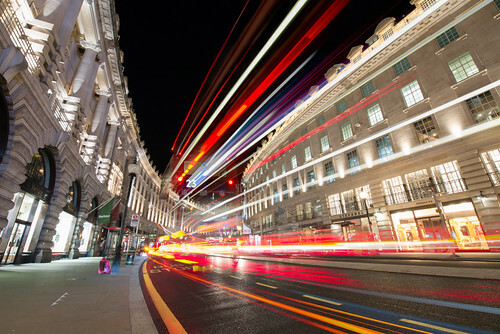 I wasn’t actually trying to catch this bus, but the driver thought I was for a minute until she saw the camera setup and happily drove by to give me the light trails I was looking for. A rainy day and all things are green. 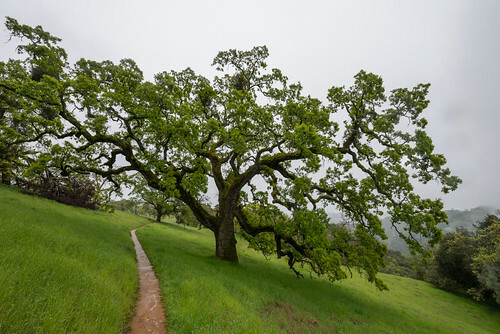 Spring time means everything is growing and bright green on the rolling hills of Henry Coe State Park. 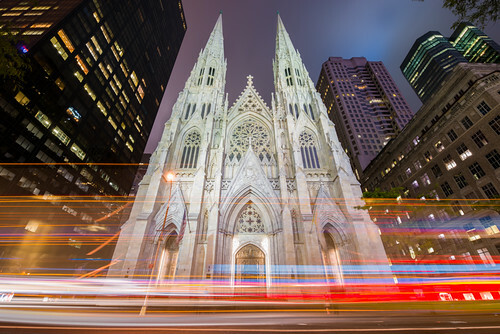 Cathedrals are cool and all, but so are light trails from cars zooming by. The night was pretty quiet, but I still managed to get a few cars to drive by to light up the foreground. 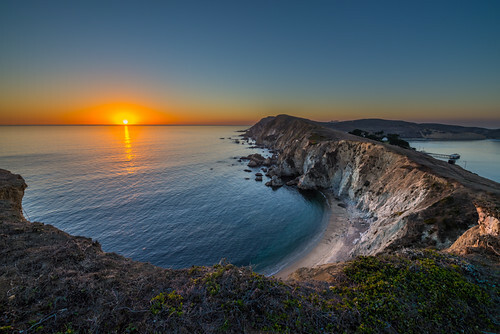 Point Reyes has many miles of beautiful seashore. The sunset only makes the view better. Walking out to the very tip of the peninsula was fun, and making our way back in the calm after sunset was very peaceful. The hike down this dry trail was getting a little boring until I rounded the corner. Suddenly I was in an entirely different place above the clouds that were rolling in from the ocean. 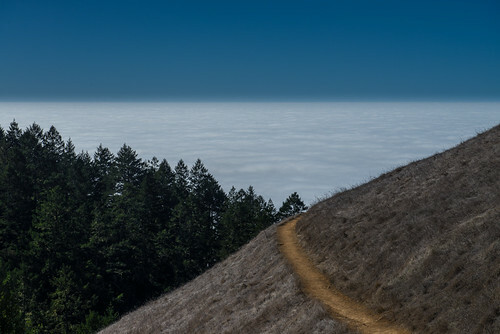 My destination was Stinson Beach below, and the change in landscape made it feel so much closer.